Have you tried a Hank the Cowdog ebook yet? We hope you've had a chance to enjoy "The Case of the Prowling Bear"! But, just in case you haven't, did you know that the Hank the Cowdog books are also available in all major ebook formats? That means you can read it today! 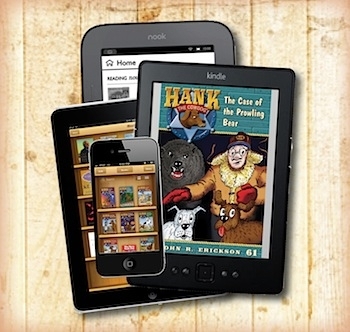 If you like to read the Hank the Cowdog books as ebooks, be sure to let us know what you think of them in the comments below!